It has been a long time since you have stayed at a hotel--maybe a year--and even longer since you were in one state-side. For you, there is always something vaguely glamorous about staying in a hotel. It doesn't matter if it is a place tucked into the heart of the mountains, like the one you find yourself in now, or in a corner of a big city or nestled in the center of a small Italian village. 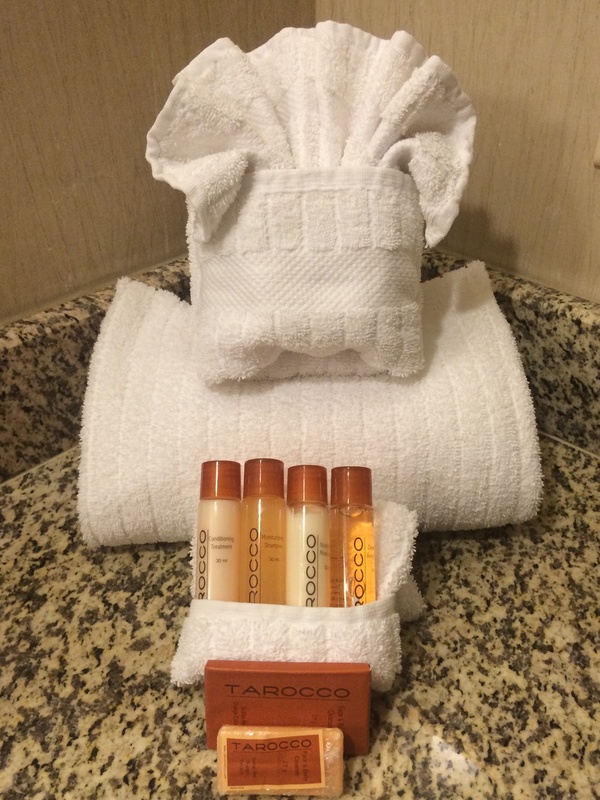 There will always be something exciting about checking in and viewing your room for the first time--the crisp sheets straining across the bed, the little toiletries lined up along the bathroom mirror. It speaks of adventure and the mystery of other places distilled into those little travel-size hotel lotion bottles that you used to collect as a child as if taking one of those nondescript containers would somehow allow you to bring a piece of that hotel luxury home with you. It is the room service you cannot wait to indulge in now--a whole meal, breakfast, delivered to your room on a fancy cart, complete with the local newspaper. You feel glamorous, maybe even like Grace Kelly, as you wrap the hotel bathrobe around you and open the door for your breakfast delivery (although you know you probably look far less polished). And while you miss your morning coffee on your porch, you find they have a patio here too, so you drink your coffee overlooking the lake and greet the local birds--starlings you think--twittering around you. A walk by the lake is in order for the day, as is some exploration of the grounds. There is no tarnishing the allure of a relaxing hotel stay, forever imprinted in your mind as an exciting time of exploration--a carry-over from the over-active imagination of your childhood. And even as the adult you hopes to find some reasonably healthy meals at the hotel restaurants or in town (never a childhood concern) and marvels at the same-ness of most hotels, the whimsical you still looks forward to the new experiences and sensations, a few days of being a visitor wherever you are, to let the day take you where it will.